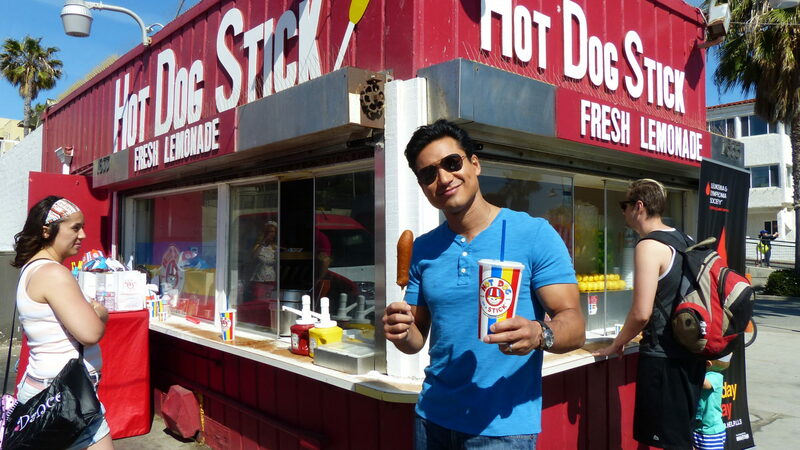 Hot Dog on Stick® Celebrates our 70th Anniversary! To commemorate turning the big 7-0 we hosted a Celebrity Stomp-A-Thon in support of The Leukemia & Lymphoma Society on April 21, 2016 at our iconic Muscle Beach location. Mario Lopez attended! Surf the Sampler! Our new sampler platter is the ultimate taste of summer. Grab a mix of stick items, fries and funnel fries.